Transport companies operating hydrofoils (so-called meteors) on the St. Petersburg’s center — Peterhof route set their prices for the summer 2019. This year, standard fares will be a bit higher than in 2017 and at a level of 2018, though the increase would hardly put a great strain on your purse strings. First flights start on April 30. Buying one-way ticket to the Peterhof museum at a ticket office on berth just before departure will cost you 850-950 rubles for an adult and 500 rubles for a kid under 12; return ticket will be 1500 instead of 1700 if purchased separately. Buying tickets online will save you great amount of money especially if you travel as a group. One online ticket costs 750 — 850 rubles depending on company. All these figures are taken from two carriers, other operators have not still announced their price policy, but anyway this will not differ much from that of their competitors. 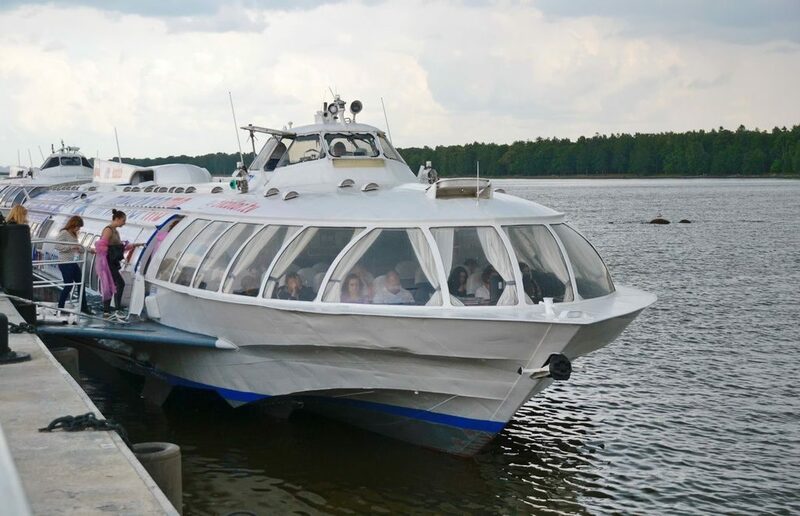 Please, note that there is a few transport companies operating hydrofoils to Peterhof, some of them provide online tickets while others may not. All the hydrofoils depart from berths (every company operates its own berth) located either on the Dvortsovaya embankment opposite the Hermitage museum or on the Angliyskaya embankment opposite the St. Isaac’s Cathedral. Travel time is about 30 minutes. Hydrofoils depart every 15-60 minutes depending on day, season and weather conditions. They arrive at the berth of the Peterhof Lower park (where all sightseeings, fountains and palaces are), all passengers need to buy tickets to enter the park. Read also our post about how to get to Peterhof. In 2018, the fountains were closed on October, 15; hydrofoils were stopped as of October, 9.